It is a simple calculator to help you calculate how many of resources you need to gather for certain items. You can manage tons of crafting procedures with the help of it. Actually it is designed for some mega packs to help you manage the crafting things manually without drove mad by the crazy steps. You must have JEI installed for it to work. The mod adds an item called Crafting Calculator, right click with it in hand to open the GUI. Putting any item into the upper-left slot will let the calculator to calculate the cost. One thing to notice: You need to input the recipes needed for it to work since there might be many recipes for one item, automatically loading the recipe may lead to a mess. Please find a video introduction at section of your version. Recursive computation, it will find if the gradients can be crafted in other recipes. Since curse is sometimes buggy with comment, so I would reply here. Definitely you can use it in your modpack and distribute. That's my pleasure. I would highly suggest you to include the mod openeye in your pack, since this mod can help every mod author to track crashes easily. It's finally out! Sorry for keeping you wait for so long! You can use mouse scroll to edit amount. This version is a totally rewrite of the old work, adding many exciting features. Actually I have to say it might be kind of confusing the first time you use it, but it will become easy when you get to know it. You can refer to the video introduction if you need help. 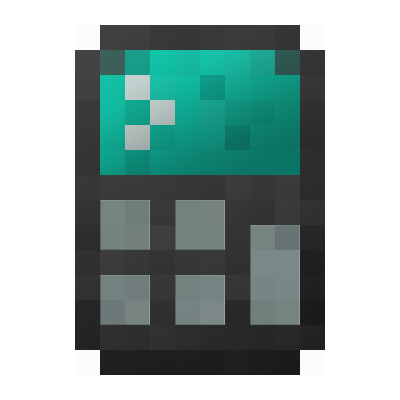 A new math calculator! Convert to math calculator using shift-right click. Easy calculation for items as a group. Try use the "Label" item in your recipes! Recipes can be sorted into groups. A strengthened search tool to help you manage records better. This is the first version I start to work on. It doesn't have new features and will not be updated. Honestly speaking, it is not very convenient to use, but it's stable and the result is reliable as in every version. Need NEI installed to work! Use NEI's drag and drop interaction to choose items. NEI's "? "-click is also supported. Use shift-click-"?" in recipe GUI for auto complete. Works not perfect in cheat mode since NEI often want to insert items to the GUI. The key "R" to show recipe doesn't work in the Calculator GUI, use left click instead. All the recipe type will be loaded once you open the Calculator GUI. Other things just work similarly as in 1.8.9 version. It now records the 6 latest calculated item. Click the item in the recent list will put it to the top slot. Click the items in the result slot will show the recipes for it, the same as given by NEI. I'm not a native English speaker, so forgive my awkward English. Awesome mod! Although I do have a suggestion to change it so it doesn't tell you to craft multiple tools that have multiple uses. Like the forge hammer from IC2 for example. It has 80 uses but its telling me to craft like 39 of them for a recipe when I only need the one to use 39 times. Auto transfer recipe will not recognize such behavior. But you can manually edit the recipe for tweaks. Here are three possible choices. 1) Use percentage for input, like 1% of hammer per use. But in this case you can not have float numbers like 100/80 aka 1.25%. 2) Put hammer into catalyst slots. Then you will always find only one hammer in catalyst list as the result, rather than in input list. 3) Just remove the hammer from input. There is no way to accurately describe "80 usages" currently and I guess I won't have time to implement it whenever soon. Sorry for that. How would you use this mod client side for a server? You say option for client mode but that's it, I'm a little confused. When you connect to a server without the mod installed, it will automatically switch to client mode, where you can open up GUI by key bind or commands instead of items. When you are playing single player, you can also force client mode in config, which gives the same behavior as described above. In client mode, all saves share the same record including recipes and history. In server mode, the recipes are separate for worlds, and history is separate for items. For some reason you can still craft an calculator item in client mode if you are playing SP, but it will use shared client records in such situation. Excited for this to be updated to 1.12, and glad this mod exists at all. One of the things I dislike the most about modded minecraft is having to manually calculate all of the raw materials I need for multi-tier crafting recipes. One thing I would love is to have the calculator UI able to be visible next to a crafting table UI (bonus would be able to click an item in the calculator and have the crafting grid auto-populated like the ? in JEI!). Gets old quick having to craft something then quit out of the table and open the calc to see what is next then back to the crafting table etc. Waiting for 1.12 :") can we at least have working version? Waiting "patiently" for the 1.12 update! This mod is *SO* useful! Should be quite close. Just give me some more time since it's a rewrite. Also waiting patiently, though after its released I'm going to try my hand at a mod spotlight, I feel that this mod needs more publicity! Any plans to update this 1.12+ (specifically 1.12.2)? edit: Nvm Just saw on GitHub you said you were busy moving it to 1.12. Thanks for your work in advance, I'm looking to add this to my modpack when it comes out!